President Barack Obama will host the White House Tribal Nations Conference on November 5, and is again inviting Native American youth to join elected leaders of the 567 federally recognized tribes. 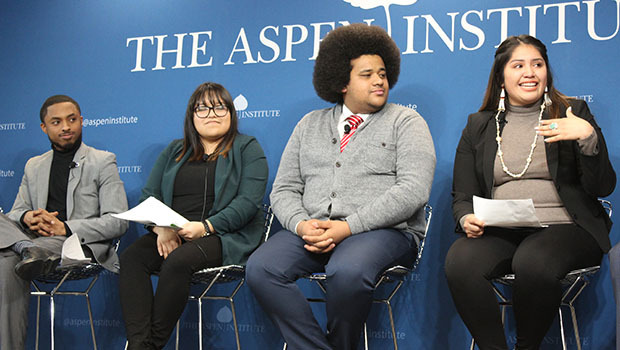 The 30 selected youth are involved with the Center for Native American Youth (CNAY) at the Aspen Institute. The young Native leaders are part of a growing network launched in partnership with CNAY, the White House and the US Department of the Interior (DOI) in support of Obama’s Generation Indigenous (Gen-I) initiative. Read below to learn about what one such youth leader is doing to drive voter turnout among Native Americans. In every election, the Native American vote is important. 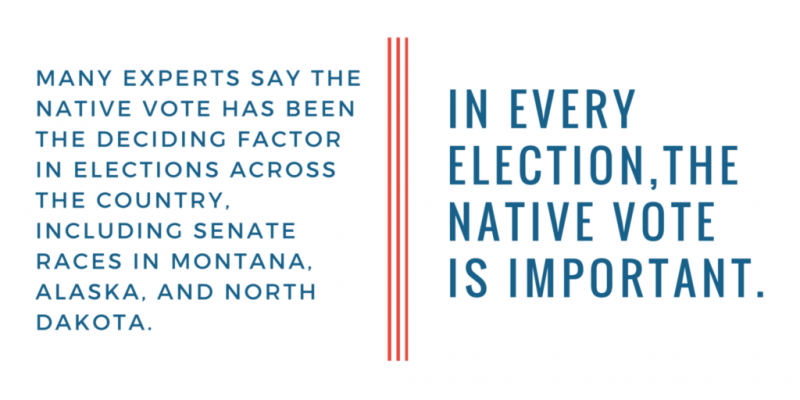 Many experts credit the Native American vote with being the deciding factor in elections across the country, including Senate races in Montana, Alaska and North Dakota. For example, Sen. Lisa Murkowski (AK) credits her victory in the 2010 election to the significant power of the Alaska Native vote. With over 100,000 write-in votes, she was the second successful US Senate write-in candidate. Recognizing the power of the Native vote, Jason Chavez, a 24-year-old from the Tohono O’odham Nation, spent the past year working with tribal leaders to encourage voting. 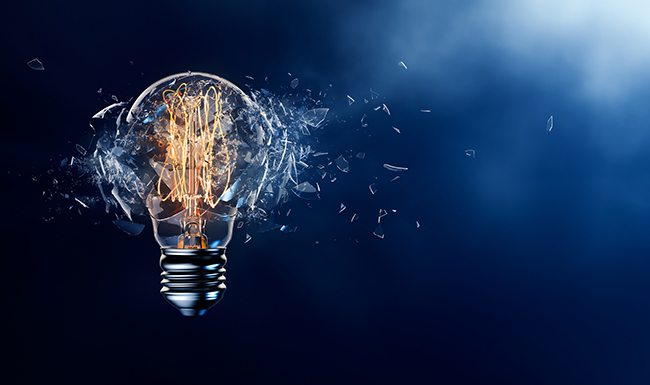 He successfully implemented an early voting site that resulted in a 300 percent increase in early voter turnout in his community. “Our tribes spend millions of dollars each year lobbying Congress to pass legislation that will impact tribal communities,” said Chavez. “The simpler solution, it seems, would be to encourage tribal members to show up on Election Day.” Chavez explained that it’s the smaller elections that hold greater significance. “These officials decide what happens in our communities,” he continued. Chavez is part of a White House initiative called Gen-I, a broad governmental initiative created last year to support the development of Native youth leaders, as well as increase their access to academic and career success. Gen-I takes a comprehensive, culturally appropriate approach to ensure that all young Native people can reach their full potential. 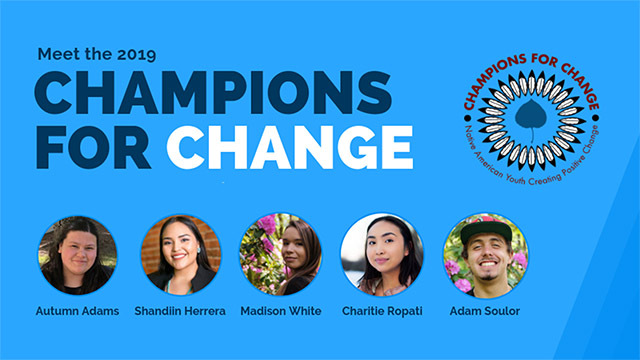 CNAY is leading the Gen-I National Native Youth Network, which is aimed at connecting young people, increasing opportunities and elevating youth voices. All youth participating in the Tribal Nations Conference are a part of this Gen-I Network. As voter outreach coordinator to the Tohono O’odham Nation for Pima County, Arizona, Chavez was charged with getting tribal members motivated about local and state elections. However, he ran into challenges, since the Tohono O’odham Nation is a sovereign nation occupying 2.7 million acres in southern Arizona, and county entities have little-to-no jurisdiction on the reservation. As a result, Chavez said, people do not feel the need to vote for those offices outside of the tribe. I want you to start learning about your elected officials. Because make no mistake about it, the laws those folks are making absolutely have an impact on your communities. And if those officials aren’t looking out for you and your families, you need to vote for someone who will — even better, run for office yourself. 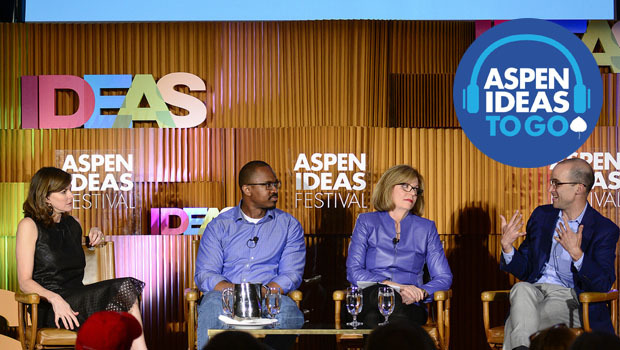 Amber Richardson is program coordinator for the Center for Native American Youth at the Aspen Institute.